JQ Talks: #TehChamLee In Lost World Of Tambun! #TehChamLee In Lost World Of Tambun! As our first anniversary was coming up, we knew that we wanted to do something fun and experience a place we've never been before. At the same time, the location should have some Pokemon for us to catch. We're blessed that the Lost World Of Tambun was kind enough to host us throughout the 3D2N stay at the Lost World Hotel and providing us tickets for the themepark. It was definitely a break that we needed as Dex have been working pretty hard while I was just really busy with my thesis. It was great to be able to let go, chill and have fun for a couple of days. Nothing but just spending quality time with each other. Watch #TehChamLee in Lost World Of Tambun and find out what we did there! It was about 2 hour drive from Klang to Ipoh and as we arrived Tambun, we realised that the hotel is not directly connected to the themepark and the breakfast area. It's about 2-3 minute walk from the hotel building to the thempark. We really didn't mind walking, especially in the morning when the weather is still rather cooling, the view is absolutely stunning. The place is surrounded by lime caves and just imagine the morning mist dancing around those hill peaks. I could wake up to that everyday with a smile on my face. It just puts me in such a great mood. The "guards"and staffs there were really friendly and helpful. We had to wait a bit before we get to check in but I think it was because they upgraded us to a 47 sqm Executive suite overlooking the residential area. 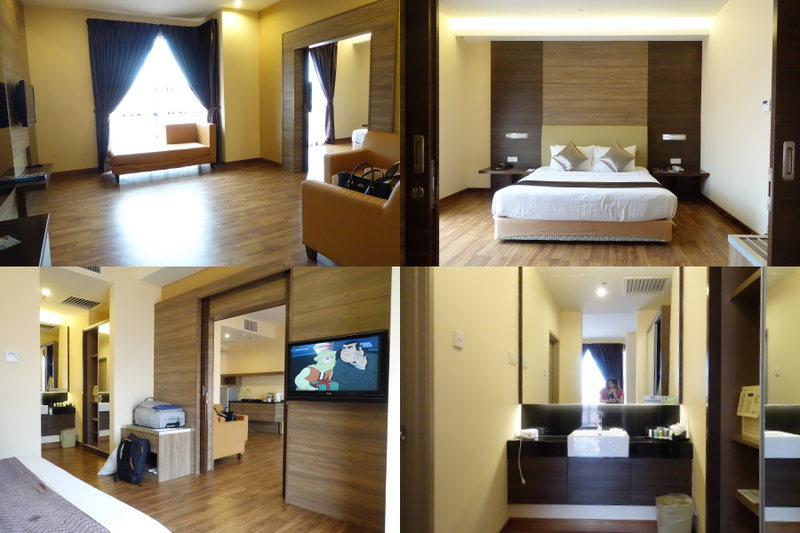 The room was huge with clean wooden floors, a separate living room from the bedroom with attached bathroom, an extra toilet attached to the living room area, and a decent counter for coffee and tea making facilities with a huge fridge. Bathroom was pretty simple with only shower option, no bathtub. The only issue I found was that everytime I wanted to shower, I need to keep the water running for about 5 minutes before the hot water will start flowing. Other than that, everything was all good. We had a plan, to be the very best Pokemon Master! Lols, okay, not really but we are huge Pokemon Go players and we were super excited to find out that they had 27 Pokestops and 3 Gyms... We screamed POKEMON HUNTING! We've never came across that many Clefairies, it is proven that it's a nest. We caught so many high CPs Clefairy till we were able to evolve it to a Clefable and add them into our Pokedex. Additionally, we also managed to catch our first Omenyte and Sandslash at the themepark. We never ran out of pokeballs because well, let's just say you have the option to hop on the train or better known as Adventure Express, that goes along the entire themepark and just keep spinning and catching pokemon that pops up. Apparently, there were even cases where Lapras and Dragonite were caught there. We did not had the luck with those but you can try visiting Lost World Of Tambun yourself as they have been pretty hype with the Poke Hunt Fiesta going on, placing lures almost every day and night till the 18 September 2016. As it started raining, we took cover at the Dulang Tea House in the Lost World Tin Valley where our guide explained to us a little bit about the history of Tin Mining in Old Ipoh. Everything in that tea house was super vintage and old school, plus viewing outwards to the greeneries was truly refreshing. We were treated to some local snacks and a cup of delicious Roasted Rice Tea. Yup, picture as above, this drink is really good. The next morning, we woke up around 8am for some breakfast. As I mentioned, the walk to the breakfast area was pretty gorgeous although I was pretty much still half asleep. The breakfast was the best but was decent enough to keep our tummy filled without complaints. Of course, they must have the local Malaysian staple food, nasi lemak, porridge with all kinds of condiments, egg station, noodle station, fruit station and etc. After breakfast we went back to the room to rest and change as the themepark only opens at 11am on regular weekdays, public holidays and weekends opens at 10am. We got our one-time entry wristband and a locker that allows you to open as many time as you wish, off we go exploring the place once again. They have six areas to cover under themepark. We started with Lost World Amusement Park because it doesn't require you to get wet. They have rides such as the Storm Rider a.k.a pirate ship, Perak Parade a.k.a carousel, and Lupe's Adventure a.k.a the state's first ever roller coaster that's rather kid friendly. We sat in with our Go Pros in one hand and the other hand in the air. Walking into Lost World Petting Zoo... well we didn't do much other than attempt to touch some rabbits and a giraffe. It was a baby giraffe but still so big. What I truly enjoy most about this area is the Rain Forest Trail, walking barefooted along this path was pretty relaxing. Then we passed by the Lost World Tiger Valley, which we stopped a little while to watch the Tiger Feeding Show before walking in the Lost World Tin Valley again just for the calming old school feel and old time Chinese music playing throughout the area. Plus, that area was beautiful, it was walled up with limestone caves left, right, and forward. 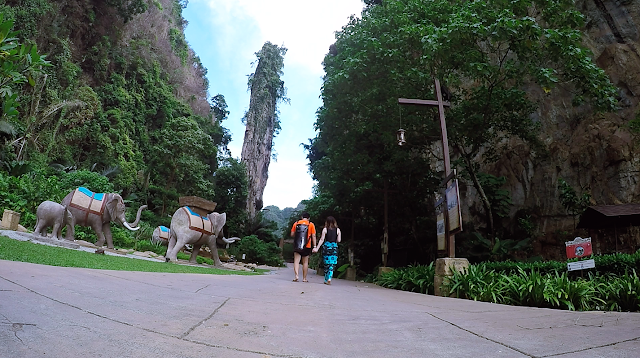 Additionally, they had this thing call the Needle of Tambun, also known as the "Pencil Hill" because it looks like a pencil sticking out from the ground. Don't worry, you won't missed it no matter how hard you try. It's very obvious. Further in, it's the Lost World Adventure Park where it's packed with adrenaline-filled thrills that perfect for team building events. It charges separately from the themepark price. We didn't go for any of it as we didn't have enough time. Lastly, we spent most of our time in the Lost World Water Park where we chilled at the Jungle Wave Pool and the Adventure River, Malaysia's longest man-made adventure river, pretty much just laying on our float and enjoy the sceneries. Of course, if you wish, they do have the longest inflatable tube ride in Malaysia with four different slides to try, the Tube Raiders for you to get your adrenaline pumping. By the evening, we stepped out to Giant Hypermarket to get some food before visiting the Lost World Hot Springs and Spa By Night. If you love immersing yourself in hot springs, it's the place to rest, relax and rejuvenate as they are 100% natural mineral hot springs. They have seven different areas with different water temperature for you to experience and enjoy. If you are not into that, they also have some night activities such as the Flaming Percussions and Tales of The Tribe for you to catch. On the final day, we woke up for breakfast, didn't do much after that, just laze around and rest before the long drive back to Klang. I think simple getaway like these are the best, especially for young couples or families that needs a quick fix from the hassle city life, this is the place to be. Plus, it's really not that far away from Kuala Lumpur. Speaking of which, reminder that they are closed on Tuesdays for maintenance. 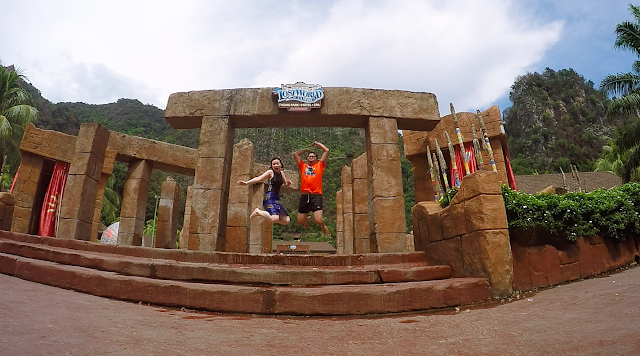 Thanks Lost World Of Tambun for the fun yet relaxing trip! 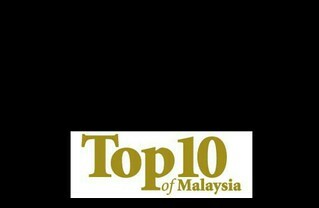 For more information, visit http://sunwaylostworldoftambun.com/ or follow them on https://www.facebook.com/lostworldoftambun.